Sherry Fitzgerald O’Meara bring this large and luxurious three-bedroom home in Bastion Quay to the market. 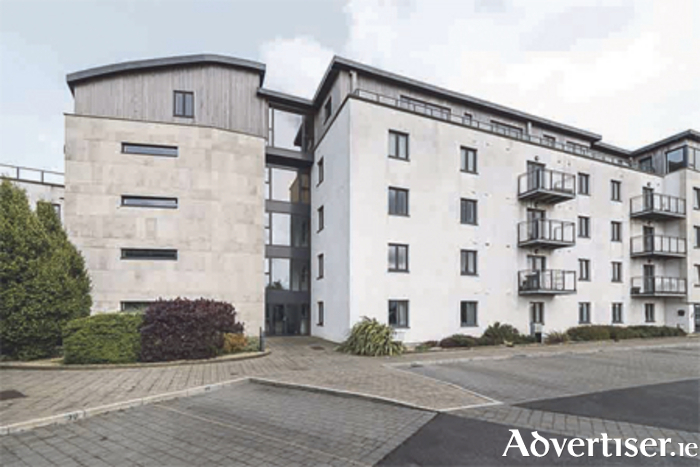 The second floor apartment, measuring 1,206 square feet, offers water views of the River Shannon in Athlone’s attractive town centre. Bastion Quay is an exclusive apartment development along the Shannon, which has been designed and constructed to the highest of standards. The newly built apartment offers three bedrooms, one reception room, two bathrooms, a balcony, central heating, and attractive decor. Residents also enjoy private parking, and the building is elevator accessible. Bastion Quay is also attractive due to its central location, being just a few minutes by foot from all local shops, restaurants and services. The apartment enjoys a BER B1 energy rating. This property must be viewed to be fully appreciated. For more information or to arrange a viewing, call agent Dermot O’Meara on (086 ) 2551082.